Martin S. Cooper focuses his practice on securities, financings, mergers and acquisitions and corporate representation. Marty is skilled at handling a wide variety of transactions, including venture capital investments, securities offerings, corporate financings and corporate acquisitions and divestitures. His practice includes representation of investors and issuers in connection with venture capital transactions, shareholder and other equity holder agreements, private placements and public offerings of equity and debt securities, and secured and unsecured loan transactions. He also has experience advising not-for-profit entities in connection with governance, financial and other corporate issues. 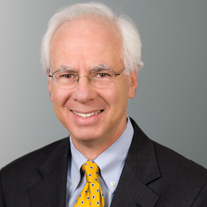 Prior to joining Olshan, Marty served from 1977-1981 as General Counsel with the New York State Urban Development Corporation, which is now the Empire State Development Corporation. Represented several New York-based private equity and hedge fund managers with respect to the organization and initial placement of interests in their funds. Transactions included the preparation of organizational documents, placement memoranda and subscription documentation and advice concerning regulatory matters. Represented several New York-based venture capital funds in multiple rounds of financing for start-up and development stage companies in various industries and locations. The transactions included the negotiation and documentation of initial term sheets, share purchase agreements, organizational documents, including rights and preferences of various classes of stock, and registration rights and shareholders’ agreements. Represented a publicly held company with respect to ongoing securities law compliance, including periodic Securities Exchange Act filings and Sarbanes-Oxley compliance. Represented executives in connection with ongoing employment and equity arrangements in an acquiring company. Represented bank client in connection with factoring business, including negotiation and preparation of contracts for the conduct and disposition of the business. Represented publicly held company with respect to its issuance of high-yield debt, including negotiation with placement agent and its counsel, preparation of offering materials, and registration with and response to comments of the Securities and Exchange Commission. Represented borrowers in out-of-state real estate and mezzanine loan transactions with respect to the application of New York law and the rendering of related opinions.